I used the term 'windows of opportunity' in a recent daily newsletter when describing any salmon fishing day and how you should never switch off. One of the biggest assets involved in catch Spring salmon on any river is not the fly or rod you're using or the brand label on your chest waders or any of the other things our minds get easily distracted with these days in this salmon fishing 'bling' era. The component that catches salmon is 'educated consistency' of approach and nothing else. If you're poking the Tay or any other Scottish salmon river with a stick at the moment and watching the daily results from hardly anyone fishing then you shouldn't be at all surprised by the negligible catches that are being recorded. None of that means that Spring salmon aren't present and those who have been out applying a 'consistent' effort have indeed seen their share of success. On a personal basis this was the time of year I enjoyed the most on the Tay as the quality capture of Spring salmon magnificence paired with a normally less busy salmon beat to manage meant more personal satisfaction from the daily March 'water coverage' days before the busier months of April & May arrived. To the 2 middle Tay salmon beats that did score yesterday from the efforts of a few quality salmon fishers well done to you. They say you need to be 'in it to win it' and that point was well proven yesterday as 5 perfect salmon were caught to 20lbs from clearly the same run of sparkling fresh run Spring fish. March has always been a turning point on the Tay for increased runs of Spring fish and as a professional Tay ghillie I'd rather have missed a family wedding than be dragged away from any possible chance of Spring salmon action! The 'combination to the safe' is to steady your mind and to learn how to embrace the blank days as yesterday's example of running Spring salmon brilliance will instantly bleach the efforts of searching from your mind upon contact with one of these God given examples of absolute marine perfection! 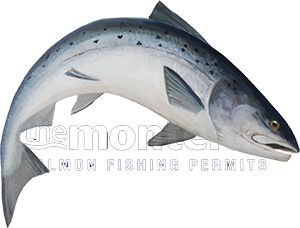 The psychology of salmon fishing whether your a professional ghillie or a recreational salmon fisher is truly the most fascinating topic of all. Never let your head go down as if you stay positive and consistent our Salmon God will 'tip you the wink' at some point and usually when you're least expecting it! If you're a surface dweller you'll never get your head around this massively multifaceted sport and how Scottish salmon fishing can be the most rewarding issuer of the highest of highs following the adrenalin buzz of hooking & landing a corker of a fish. On the other hand regardless of how many salmon you've caught or your 'life served' PHD in this pursuit the salmon river can easily switch into being the most amazing leveller of any ego! Personally I've learned to love the less successful days when I've been schooled as they are indeed the true moments of growth!